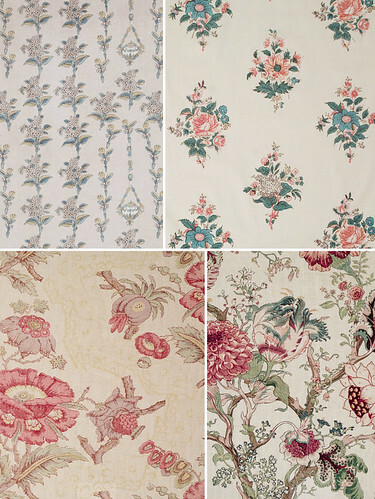 The one on the bottom right is so very lovely, I kind of want it on a massive ottoman, or everywhere…. Have you looked at Reproduction Fabrics (http://www.reproductionfabrics.com/) at all? I love their site and I think I've seen something like what you have above, but in a more reasonable price range.